The normal FunJet from MULTIPLEX is already one of the fastest in its class. 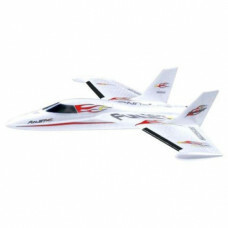 This model gives you the ultimate thrill of speed and shows incredible precision flying in daring aerobatic manoeuvres. New foam technology and a spar give the FunJet considerable structural strength. Requires all electronics, battery and Transmitter, contact store for more info.